Properly managing a dental lab is a tough task. You need the right amount of people skills, technical knowledge, and of course, you have to be great with money and budgeting issues. 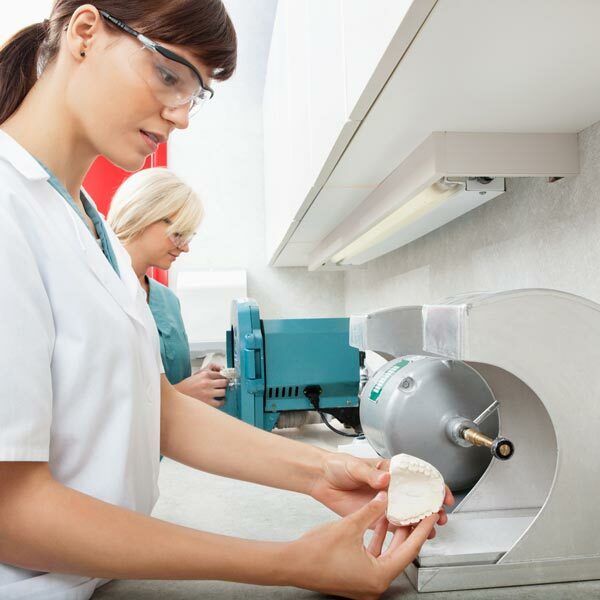 Here are seven tips to help you better manage your dental lab. Admit it, you're guilty of procrastinating. You know you have so much to do today, but you just can't find the motivation to get it done. You're not alone, as 20 percent of workers are chronic procrastinators. A good way to break the habit is by following the two-minute rule. The concept is simple: If a task can be completed in two minutes, get up and do it immediately. You'll be amazed at how much you can get done. Customer Relationship Management (CRM) is an essential element of any business and the same is true in the dental lab industry. In order to truly maximize your time, it's always a good idea to take a look at the week ahead and plan out a schedule. Break down your week's tasks into deadlines and time requirements. For instance, the most pressing project needs to be completed first. Creating a schedule for yourself and your coworkers can cut down on late deliveries and boost productivity. Yes, it's important to come up with an efficient dental lab management style. However, part of that style needs to include personal time and breaks. Don't be afraid to give yourself periodic breaks throughout the day. If you're working through the entire workday, the quality of your work will likely suffer. As an office manager, you may feel like you have to appear as if you have everything under control 24/7. While that's certainly one way to manage your office, it's okay to ask for help from time to time. If you find yourself overwhelmed, reach out to a co-worker or superior. It's better to swallow your pride than deliver a poor product. Furthermore, look into utilizing a dental lab customer software and production management enterprise, proven to help lighten the workload for many managers. You'll be able to effectively streamline all laboratory production in a web-based process with cloud integration, regardless of the size of your lab. You know that old software you're using? It's time for an update. A dental lab can only be as efficient as the resources its workers have. Updating your older equipment and dental lab software can make your day-to-day life easier by providing convenience and accessibility as discussed above. If you're constantly running out of equipment, it's time to rethink your ordering habits. Generally, it's a good idea to order bulk dental supplies. You'll get a better price and won't have to worry about running out. Last but not least, make sure you're eliminating as much waste as possible. Smaller costs tend to add up when you put things into perspective. For instance, going paperless in your lab is one sure way to save on costs and benefits the environment as well. Running a dental lab isn't always easy, but we hope that these tips make your workday a bit easier. Stop procrastinating, stay organized, take breaks, and remember to work smarter, not harder. By following these tips you'll make more money while cutting down on waste. If you're interested in updating your dental lab's software, get in touch. We'd love to show you how our software can save you money and time. Arm yourself with the right tools to achieve limitless potential.